Do you remember neighborhood grocery stores in Midtown? 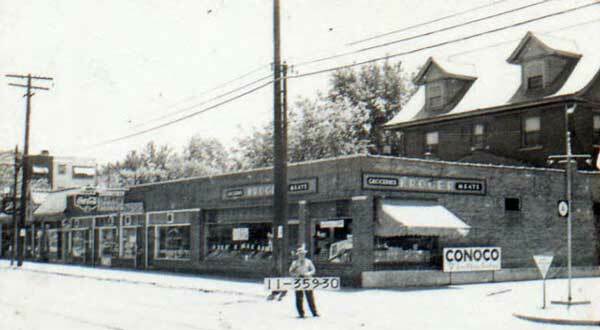 One of Midtown’s early local grocery stores was Martin’s Market at 1507 W. 47th, seen here in 1940. Decades ago, Midtown Kansas City had a grocery store in almost every neighborhood. Before the advent of large chain “super markets,” grocery stores were often literally mom and pop businesses. They grew up along streetcar lines and within walking distance of Midtown residential areas. This map shows all of the groceries within Midtown boundaries in 1949, based on a Kansas City Star newspaper advertisement in May of that year. The Valentine neighborhood had several small markets in 1940, both on Broadway and Summit Street (which later became Southwest Trafficway). Sol’s Market at 3305 Summit Street in 1940. The Manheim Park, neighborhood had an A & P market at 4625 Troost. In Volker, residents could walk or ride the streetcar to a Kroger store at 1423 W. 39th. 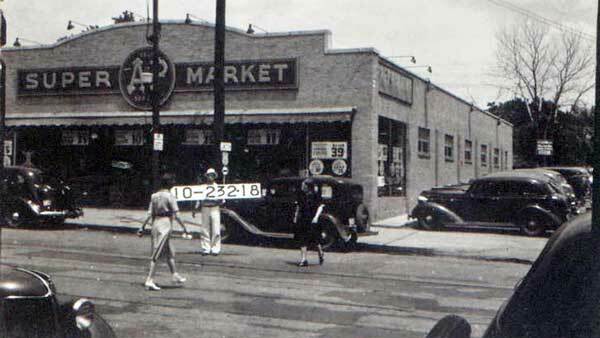 In 1936, we lived one block from Martin’s Market. My brother and I would be given a penny, each, and would walk up to Martin’s to buy candy. My brother, Bob, who was older, would buy one “banana b-b-bat” – (a rectangle of hard taffy, on a stick). I always got cinnamon squares – as my penny warranted two cinnamon squares. They were squares of hard, red, cinnamon candy – dusted with sugar. So, I learned, early, that the best buy, was 2 for 1. I learned to love cinnamon squares !!! When I lived at 4307 Warwick in 1971, the building at 43rd and Oak was a grocery. I don’t remember the name. I don’t believe I see it on the map. The market at 43rd and Oak (NW corner) was the J&G Market. It was a great little store with a quality meat department. It served a very diverse neighborhood – older folks who’d lived there for many years, and students from UMKC and the KC Art Institute. The owners and employees treated all their customers like family, and like family, we were fiercely loyal to J&G. There used to be a small grocery store at 51st and main called Wieners. Had a screen door with a bell on the door when you opened it. Next door to country club pharmacy. On the other side was Pauls Deli. He had short history version on posters all around the ceiling. Excellent sweet rolls. My first legal beer. There is an old building at 41st and Oak that appears to have been a grocery. Does anybody have any info on that ? The A&P store building at 4625 Troost is still there and in business as a True Value store. Hardly any change from the picture above. Does anyone remember the old Main Street Supermarket locates just west of the intersection of 43st and Main St.?on the east side of Main St. at 43 st. Was a pizza parlor. Both buildings were bombed one night in the early 70’s. Anyone remember this? In the late 1950’s, there was a small grocery store on the West side of Gilliam Rd. just off 34st and next door to Berbiglia Liquors. Believe the name was Milhams Market. It was eventually closed and replaced by a bar known as Arabian Nights. As a kid, mom would send me to the store and pick-up bread, milk, etc. for the family. Does anyone remember the grocery store on the northeast corner of 33rd and Woodland ? It was across the street from the Ivanhoe Drug store. My parents always referred to the grocery store as “Lew’s” I guess because that was the guy’s name that owned it. This was in the mid to late 50’s. 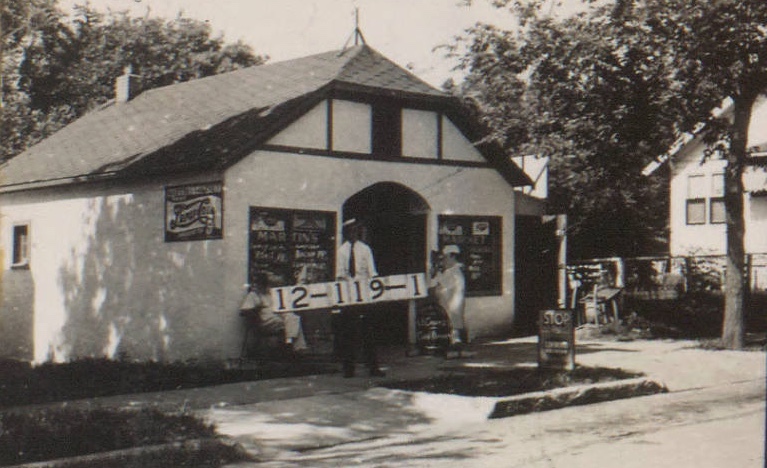 My great grandparents had a grocery store at 4000 Wayne, in 1920. I sure wish I could find out the name and get a picture of it. The property is a park now. Thanks you!